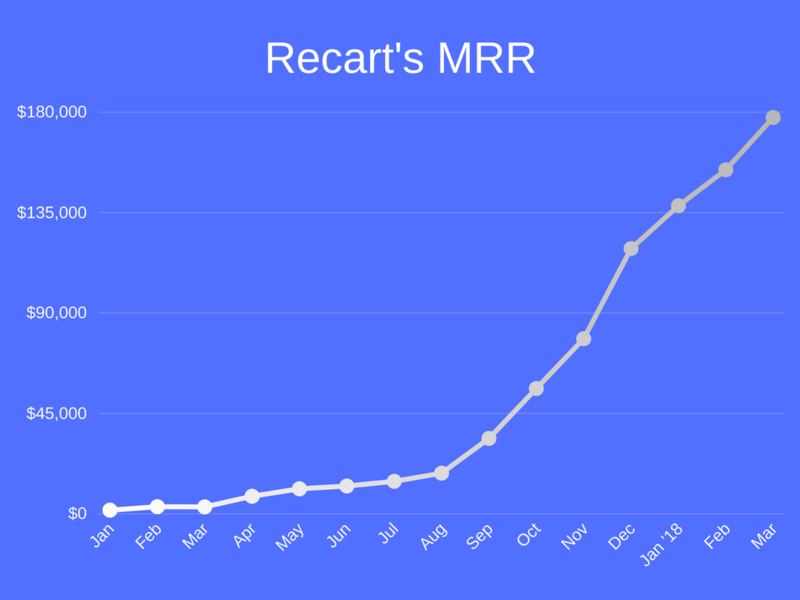 March was a huge month for all of us at Recart. 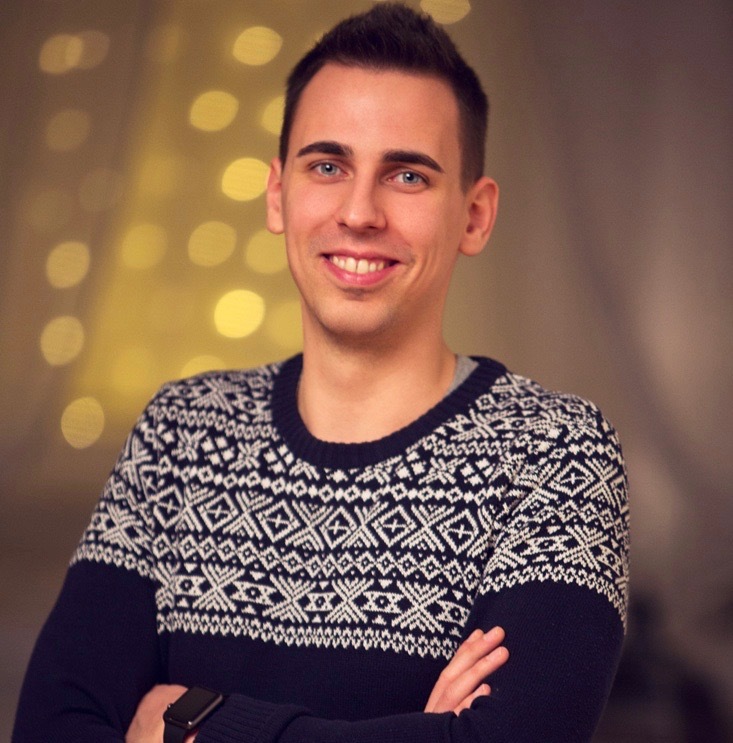 I spent the entire month in the Silicon Valley, met with the Messenger team, sought for partners and started the fundraising process, while the team in Budapest worked hard and released new features, prepared the infrastructure for Facebook API changes, interviewed many candidates, assembled our first sales processes, and solved more than 2,300 new support conversations. A Welcome Campaign is a Messenger message sent right after a customer opted into the merchant’s list. This campaign is a huge step towards a better user experience on Messenger. 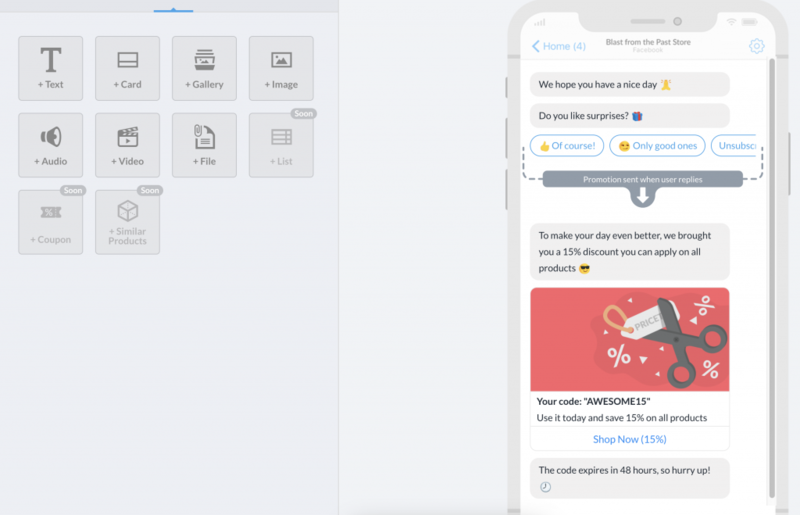 It notifies the customer that she’s subscribed, tells her what types of messages and how often she’ll receive, includes the discount code (if she’s coming from a promotional growth tool like Wheelio or Optimonk), and gives an opportunity to unsubscribe right away. It’s only in a test phase for our beta testers, however, we’ll release it to everyone in the first week of April. We prepared our infrastructure for Facebook API changes that came into effect in March. We had to revamp our message-sending services in order to meet the newest FB requirements. 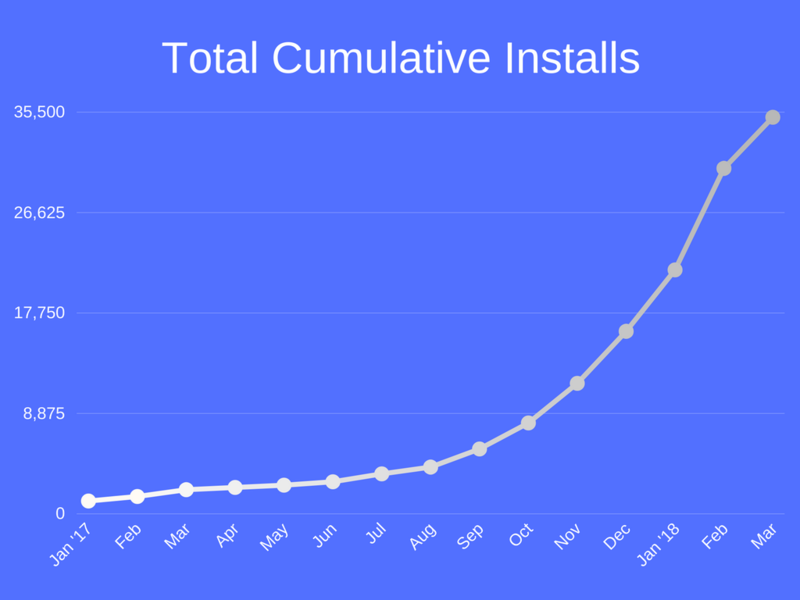 Back in September 2017 when we designed our messaging infrastructure, we didn’t count on merchants sending instant campaigns to 500,000+ people under a few minutes. Since we already have many merchants with that size of lists, we had to work hard in March to rebuild our sending system. I spent my entire March in the Silicon Valley and met merchants, affiliates, partners, advisors, and investors. That one-person presence seemed to be enough to start a conversation with many important peers in our business. I met amazing people from the Messenger team, I’ve talked to many investors, got introduced to other successful ecommerce software businesses and had insightful conversations with Recart merchants. 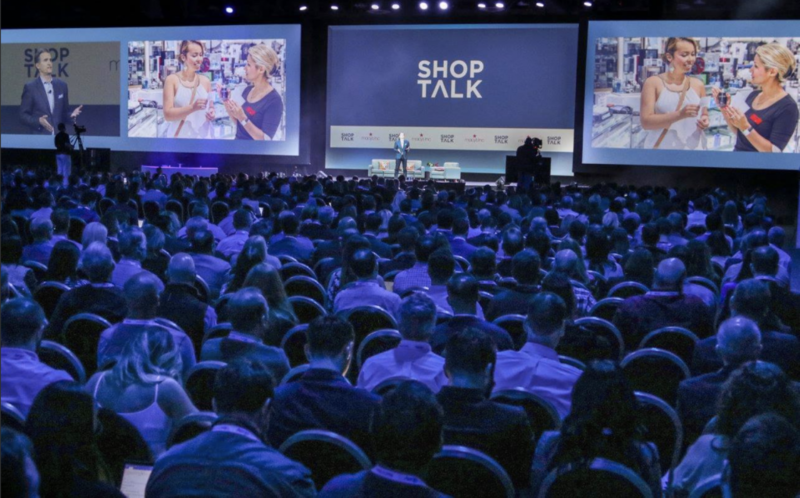 I also attended at Shoptalk, the largest ecommerce conference in the world. 8,500 people from the commerce world gathered together to connect & learn – it was an amazing experience. I’m going back on the 23rd April to attend the F8 conference, then visit Toronto for Shopify Unite in early May. It’s not a joke: the fact that we’re growing nicely with profits makes the fundraising question really complex. We still don’t know exactly how much money we should raise from who, but I decided to start the process with two investors here in the Valley. It means that after a small due diligence, we’ll get initial offers and we can finally see the options clearly and make a better decision. Messenger has a simple rule for protecting their users from being spammed by businesses. They allow businesses to send promotional content in 24 hours after a contact with the customer. It means, our merchants have 24 hours to send promotions after a customer subscribed to their Messenger list. Outside the 24-hour window, they can only send non-promotional messages like news and content. However, many merchants infringed this rule and sent promotional content to all subscribers in their Instant Campaigns. This led Facebook to restrict some of our clients from sending messages. Needless to say, this wasn’t good for Recart. We updated our editor in February and added a double check to notify our merchants that they can’t send promotional content outside the 24-hour window. This didn’t really help, they sent out the promotions as News Campaign. We had to do something to protect the user experience (who wants to be spammed in Messenger) and the merchants’ Messenger reputation. We created a two-step Smart Promotional Campaign. This is just the beginning, we’re committed bringing a better user experience to end users and give them better options for filtering different messages types they are receiving from merchants. We have open Senior Dev, Front-end Dev, and Customer Success Hero, Content Marketer and Sales Representative. Hopefully, in April, we’ll onboard 2-3 new teammates. If you know anyone who’d love to join the Recart journey, please send them our way: career@recart.com. My co-founder, Peter is assembling our very first sales team. I’m sealing deals with affiliates, negotiating integrations to apps with the ideal customer profile pool and leading the fundraising. Moving upstream is a lot bigger task than I expected, it’s basically a pivot in the product – it requires prominent changes across the entire organization. We’re working on the “upmarket execution plan”, I’ll include it in my next monthly update. 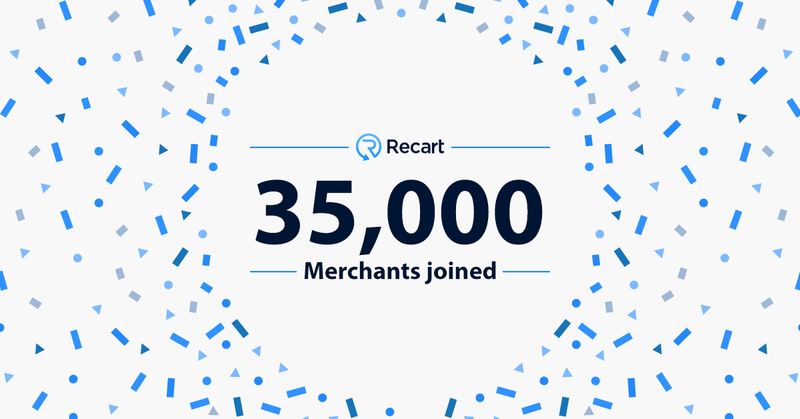 As I mentioned above, the Welcome Campaigns will be rolled out for all Recart merchants on the first week of April. 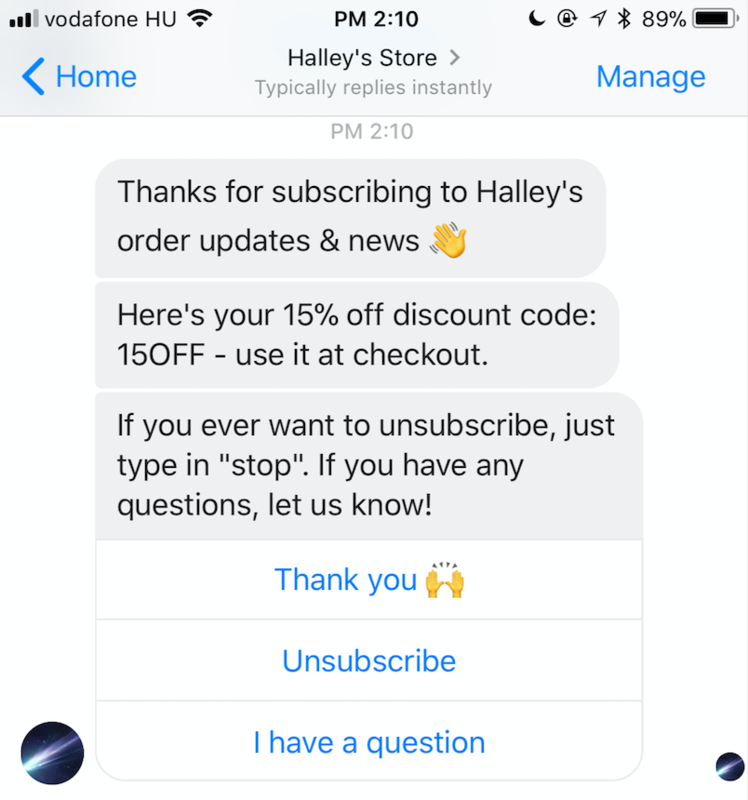 The Welcome Campaigns will provide a better user experience to Messenger subscribers by notifying them about the subscription, giving them info about the messages they’re about to receive and offering a clear way to unsubscribe. I’m going back to the States at the end of April and hopefully, I’ll be able to seal the fundraising deal and open a micro office in San Francisco. As usual, we try to keep our high velocity and roll out many new features in April. This month, we’ll add new customizations to our most popular Messenger entry-point, the Add to Cart Widget. We’ll work on brand-new editors for the automated campaigns (Abandoned Cart, Receipt, Shipping Notifications), woo-hoo finally, GIFs in the messages! Additionally, we’ll show all Messenger subscribers to the merchants by profile picture, name and gender and give them an easy way to unsubscribe them remotely from messages. We still have many projects growing fast simultaneously (fundraising, US presence, partnerships, sales, marketing, content, product, development, customer success, recruitment). The product already outgrew us. We built something huge that the team has to decide between maintaining or developing it. In order to maintain our speed, we need to hire fast, build extra management layers, grow the success team, move into a bigger office, create international partnerships, craft meaningful integrations and most importantly: build a top-tier product. These high-velocity shifts challenge us to be better colleagues and leaders, and that’s something really exciting.